Finally Matt came good! I don't think anyone was any more surprised than himself at how perfect Pastry week was for him. For me the week has been filled with stress and drama involving broken ovens, re-doing budgets and organising the house before our holiday. Luckily it all worked out in the end although there was little time for perfect photography (next week will be the same!) 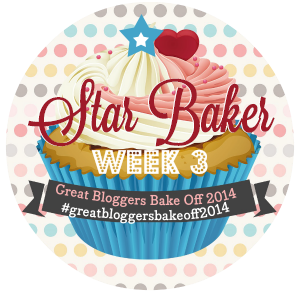 but I managed to complete yet another Bake Off challenge. I've made puff pastry in an earlier challenge for my galettes and as lovely Greek cheese pastries looked, I couldn't justify making a batch up with no-one else to eat them! 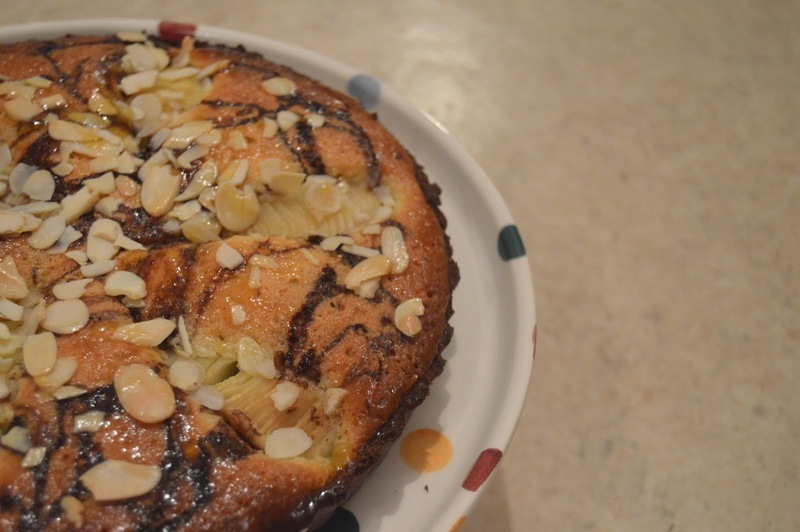 I have made frangipane before, these individual bakewell tarts went down well I have to say, so I had to up my game somewhat if I was going to stick with frangipane this week. I've always like the idea of flavoured pastry, so I decided to make up some sweet chocolate shortcrust pastry and combine the chocolate flavouring with classic orange and sweet pears. The original recipe that I based this on, suggested baking for an hour in total, but by slicing the pears first cooking time can be reduced, lessening the chance of a burnt base. Cream the butter and sugar together until smooth, and beat in the egg yolks until well combined. Sift together the flour & cocoa, add to the butter mix and mix together until a dough forms. Tip out onto a floured work surface and knead until your dough is smooth. Wrap in cling flim and refrigerate for at least 30 minutes before use. Alternatively, flatten into a large disc, place in a ziplock bag and freeze until needed. Start by making the frangipane paste by putting all the frangipane ingredients into a large bowl and beat with an electric whisk until smooth and fluffy. Slice your pear halves horizontally along the length of the pears, not quite all the way through so it holds it shape. Place gently in a bowl and rub over lemon juice to stop them browning. Roll out your pastry on a floured surface to approximately a 3mm thickness and large enough to overhang your flan tin. Using your rolling pin, lift your pastry carefully into your case and press firmly into the fluted edges. Prick the base with a fork, cover with baking parchment and weigh down with dry rice or baking beans. Bake blind for 10 minutes, then carefully lift off the paper and rice/beans and bake for a further 5 minutes. Once baked blind carefully trim any excess pastry from your tart edging. Spoon your frangipane paste into a piping bag and pipe into your case. pour a thin line of chocolate sauce around your tart and use a cocktail stick to create a marbled effect. Gently place your pear halves into the tart. 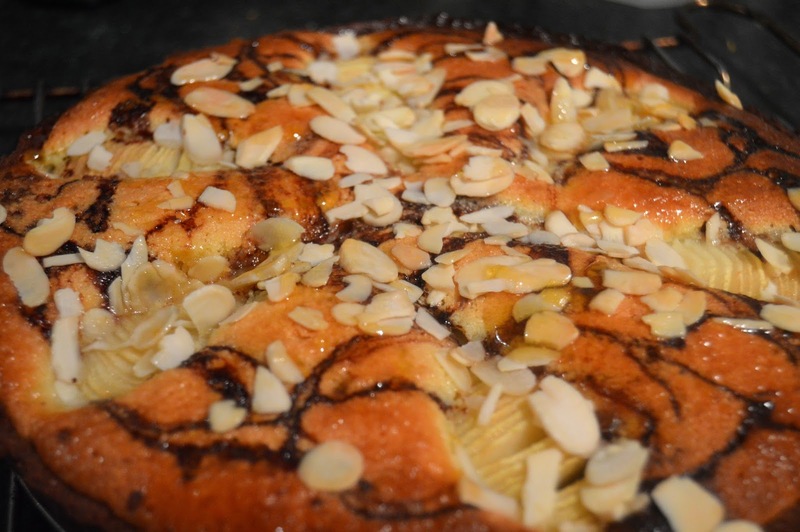 Pull out the shelf holding the tart a little way and scatter flaked almonds over it. Reduce the oven temperature to 180C Gas 4 and bake for a further 20-30 minutes until nicely risen and the filling feels firm to the touch. Gently warm your apricot jam and brush over your tart as a glaze. Leave to cool for 10 minutes before removing from the tin. Mmm, how pretty your tart looks! I've made chocolate pastry before and found it so tasty. I bet this made a lovely dessert. Thank you Lucy it was lovely, I'll be making chocolate pastry again I think! 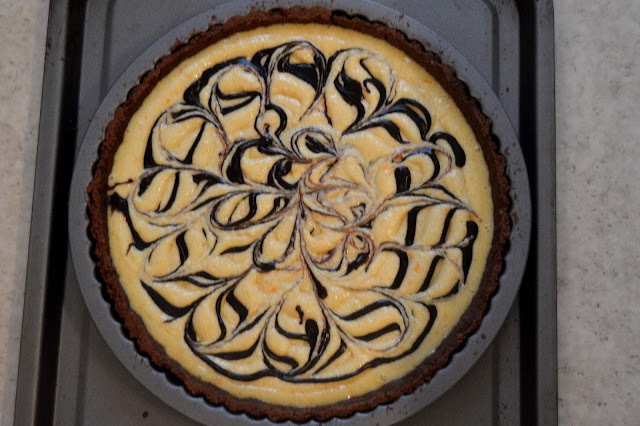 i love how pretty your tart looks with the swirls and i bet it tasted lovely, to me chocolate and orange is always a winning combination! was this the one that had to be finished under the grill? Thanks Jenny! The grill wasn't needed luckily but now my oven has got a new element its supercharged so I have to reduce all my cooking times & temps! Oh my, this looks so so pretty and sounds absolutely divine too, I could just eat a slice right now!